Arconics will be in BKK, at stand E8 – let’s meet! The Airline and Aerospace MRO and Operations IT Conference, in Bangkok on October 26 and 27, 2016, is the world’s only event to address the topical issues relating to the development of IT and its importance in safe and efficient flight operations. This event provides the ideal opportunity for airlines, aircraft operators and independent MROs to learn, over just two days, more about how new technology can streamline and increase their operating efficiency as well as dramatically reduce costs. Arconics will be showcasing, and providing live demos of, two of our key software solutions, AeroDocs and AeroEFB. Drop by stand E8 and learn why airlines such as Cathay Pacific, Qatar Airways, Aer Lingus and Philippine Airlines are using our software to ensure safety and compliance and maximum operational efficiency. Incorporates the document distribution and viewing modules and is designed to appeal to airlines that want to adopt the paperless cockpit and also airlines that are currently using non-aviation-grade solutions, often from more than one supplier. 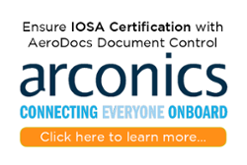 AeroDocs ensures complete control over an airline’s processes and documentation. Boasts the world’s best pilot EFB viewer. Adds XML editing module to distribution and viewing functionality. Enables easy XML editing of Airbus and Boeing manuals, as well as general ops manuals in one seamless, end-to-end system. Advanced regulation tagging helps ensure regulatory compliance. AeroEFB is a Portable, Type A/B software electronic flight bag designed to create Electronic Flight Folders, and also distribute and view Airbus and Boeing XML aircraft manuals, plus internal manuals produced by the airline. This aviation-specific software enables viewing of flight documents and dynamic content on iPad and Windows portable devices, in any operating environment, with advanced day/night mode functionality. Safety and regulatory compliance are made easy with workflows, tracking and content linking. Data security is paramount. Manuals can be updated in PDF or XML format. Our app enables pilots to quickly find the information they require – crucial when quick decisions need to be made on the flight deck. Arconics software is built around the needs of the professional pilot and consists of a suite of tightly-integrated modules: Manuals, Flight Briefing, Forms, Weather, Read+Sign, Viewer and Distributor. ขอบคุณสำหรับการ ลดลง และเราจะ เห็นคุณใน กรุงเทพ ! K̄hxbkhuṇ s̄ảh̄rạb kār ldlng læa reā ca h̄ĕn khuṇ nı krungtheph! 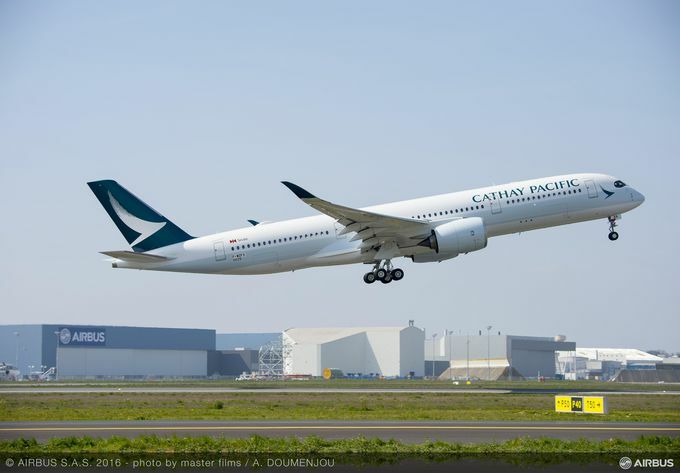 Read our Cathay Pacific Customer focus here.